How does Bottleshake collect and use your information? Interactions with Bottleshake. Bottleshake is designed to help you connect with other Bottleshake users in your general vicinity over drinks (coffee, cocktails, wine, juice, etc.). Accordingly, much of the information you provide to us is information that you are asking us to make public. For example, when you use Bottleshake, you are sharing locations convenient to you and meetup goals with us so we can show you other Bottleshake users in your general vicinity who we think might be interested in meeting you at a nearby venue. In addition, you are asking us to share your presence with other Bottleshake users that are close to you. Bottleshake also records and stores all of your interactions and clicks performed while using the Bottleshake service and application, along with the corresponding time, date, and duration. This includes but is not limited to: hosting Bottleshakes, requesting to join Bottleshakes, accepting or passing on requests to join other users’ Bottleshakes, your searches for Bottleshakes, the filters used when searching, accepting Bottleshakes, messaging other users, reporting other users for fraud, flagging inappropriate comments, Yelp venue searches, etc. Messages. When you send a message through Bottleshake, we will retain that message as required to operate Bottleshakes. Messages you initiate will not include your personal email address. It is within your sole discretion to share your personal contact information with other users. Communicating with you. We will typically communicate with you using your registered email address. If we cannot reach you by email, we may use other contact information that you provide. We will communicate with you in accordance with your preferences and in response to inquiries, to provide requested services and to manage your account. We will send you mandatory service-related announcements and notifications by email when necessary. You cannot opt-out of these communications, which are not promotional in nature. If you do not wish to receive them, you have the option of canceling your account. We may broadcast or otherwise distribute important messages to all users or send individual messages to specific users where we have appropriate contact information to do so. We also may send information to you by email about our services, including special alerts, offers, awards, surveys, contests, promotions and updates. You will be given the option not to receive these types of communications. Surveys. We may provide you the opportunity to participate in surveys from time to time. Participation in surveys is completely voluntary. If you choose to participate, we may request certain additional information about you, including demographic and psychometric data. We may use this information to monitor system traffic, supplement, amend and personalize our system, direct advertisements, communicate with participants, develop our products and services, or conduct market research. We will use email addresses to distribute and collect surveys. Legal sharing for protection of us, you, and others. We may disclose personal information to third parties who are assisting us in protecting against or preventing actual or potential fraud, unauthorized transactions, claims or other liabilities, or to investigate potential fraudulent or questionable activities. We may disclose personal information in response to legal process, such as in response to a court order or a subpoena. We may disclose personal information in response to a law enforcement agency’s request, or where we believe it is necessary to investigate, prevent, or take action regarding illegal activities or suspected fraud, violations of our Terms, or as we believe may be otherwise required by law. We may also disclose personal information to protect our rights or interests or the rights or interests of others. Merger or Sale. If all or substantially all of Bottleshake or its assets are sold or transferred, your personal information and other information we have collected may be treated as an asset and transferred in accordance with this Policy. Non-private or non-personal information. We may share or disclose your non-private, aggregated, or otherwise non-personal information, such as information you publicly share, the number of users that viewed your posts, Log Data, etc. How does Bottleshake collect and use technical information? Mobile Device Information. Bottleshake collects some information from your mobile device, such as an ID that is unique to each mobile device on which you use Bottleshake. We may create an anonymized version of your device ID to log you into Bottleshake, and we may store your device ID along with other personal information we collect about you. We may use this device information to operate Bottleshake service, and we may share this device information with our third party partners. Mobile Location Information. When you use Bottleshake on a mobile device, we will determine your location through the GPS, Wi-Fi or other technology on the device through which you access Bottleshake. We will use this location information to determine your distance from other Bottleshake users. Depending on your privacy settings, we may use this location information to identify your presence to other Bottleshake users who are nearby. We will store your location information along with your device ID and other personal information we collect about you as necessary to operate Bottleshake service. YOU UNDERSTAND THAT WHEN YOU — USE BOTTLESHAKE SERVICE, YOUR LOCATION INFORMATION WILL BE SHARED WITH OTHER BOTTLESHAKE SERVICE — USERS. YOU HEREBY CONSENT TO THE DISCLOSURE OF YOUR LOCATION INFORMATION AS DESCRIBED ABOVE. Log Data and Cookies. Our servers (which may be hosted by third party service providers) automatically record information created by your use of Bottleshake service. Log data may include information such as your IP address, browser type, the referring domain, pages visited, your mobile carrier, device and application IDs, operating system version, phone number, location history, and search terms. Other actions, such as interactions with our website, applications and advertisements, may also be included in log data. 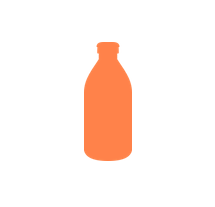 By using Bottleshake, you are authorizing us to gather, parse, and retain data related to the provision of Bottleshake. Personalization of Experience. We may personalize your experience by using your site behavior. We also monitor customer traffic patterns and site usage to help us develop the design and layout of the site. Data Retention. Bottleshake will retain your information for so long as your account is active or as needed to provide you services, and as necessary to comply with our legal obligations, resolve disputes, and enforce our agreements. Where possible (and subject to the foregoing), we generally remove your data from active user databases promptly upon request, but a longer period may be required to delete other copies stored on our servers. Note that we do not delete from our servers files that you have in common with other users, and that we may retain archival copies of all of your data stored in connection with routine information technology backups. If you are a registered user of Bottleshake, you can access, modify, correct and eliminate the personal information you provided to us through Bottleshake. You may request deletion of your information at any time by contacting Bottleshake customer service at privacy@bottleshake.com. We will respond to your request within 30 days. Bottleshake user accounts are protected by the credentials you provide at registration. We use reasonable measures to protect user information that is stored within our systems, and we restrict access to user information to those employees who need access to perform their job functions, such as our customer service personnel, service administrators, and technical staff. All information that you provide will be protected with industry-standard protocols and technology. Our physical, electronic, and procedural safeguards meet or exceed current federal standards regarding the protection of customer information. We also require contractors and outside companies who work with us to adhere to strict privacy standards through their contracts with us. Unfortunately, no security system, transmission of data over the Internet or mobile devices, or even physical transfer of information, can be guaranteed to be completely secure. Consequently, while we use commercially reasonable efforts to protect your personally identifiable information, we cannot guarantee the security of our servers, the means by which information is transmitted between your computer and our servers, or any information provided to us or to any third party through or in connection with the website. Any information that you provide to us is done so entirely at your own risk. We do not ensure or warrant the security of any data or information you transmit to us, and you do so at your own risk. If Bottleshake shall learn of a security systems breach, we may attempt to notify you electronically so that you can take appropriate protective steps. We may post a notice on our website if a security breach occurs. We also may notify you through the email address associated with your account. Depending on where you live, you may have a legal right to receive notice of a security breach in writing. To receive free written notice of a security breach (or to withdraw your consent from receiving electronic notice), you should notify us at privacy@bottleshake.com. Bottleshake is not directed to people under the age of 18. We do not knowingly collect personal information from persons under the age of 18. If we become aware that a child under 18 has provided us with personal information, we take steps to remove that information and terminate that person’s account. In addition, if you learn that your child who is under the age of 18 has provided us with personal information without your consent, please contact us privacy@bottleshake.com. You may close your account through the Bottleshake customer service. If you close your account, we will remove your name and other personal information from our public database. If you close your account, we may delete any or all of your personal information without liability. However, we may retain certain data if we believe it is necessary to prevent fraud or future abuse, or for legitimate business purposes, or if required by law. Any information you shared with others may remain visible.